We have previously lamented how the increasing use of technology is making recruitment less about people and more about 'ticking the boxes'. So we thought we could point out where some of the technology leads the process, what pitfalls that they might present to the candidate and how to beat them. Most recruiters are probably using a piece of software called Broadbean (or something similar) that allows them to write an advert and post it quickly, with the click of a button, to multiple job boards and social media sites such as Twitter, Facebook and LinkedIn. 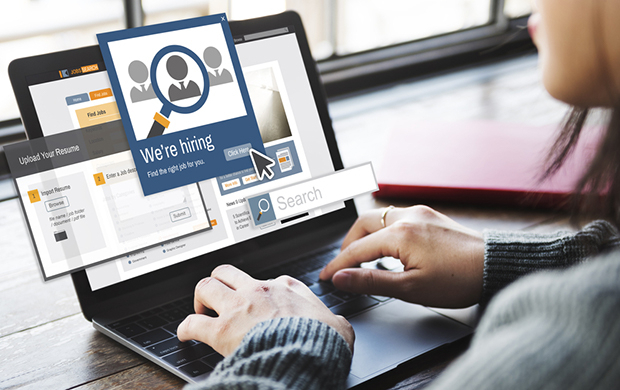 This clever piece of software also means that candidates who apply may find their CV then automatically uploaded onto the recruiter's database with a note showing the application. What then happens is, the consultant looks at the individual and sees instantly what they have applied for, which all sounds very useful so far. However, imagine if you are a job seeker who is keenly looking for work; you are prepared and able to drop back to an admin role, step sideways into a team leader role or get promoted to a managerial/director role. You live in Leeds, have family in Birmingham and a holiday home in Exeter. Yes, you can absolutely apply for the six to seven jobs you saw advertised by one national recruiter and you can do so confidently and with justification. BUT what does the process look like to that recruiter when they look at the system and see you have applied for seven jobs at levels from HR Director to HR Administrator in Stafford, Birmingham, Wakefield and Bristol? It might look confused, random and badly thought out. And even though you have written a cover letter that explains your situation as clearly as you can, the recruiter may not be able to see it, or may not have the time to read it (they have 30-40 other applicants to respond to as well, remember). There is, therefore, a chance that they might prefer to look at the candidate who seems to have taken a more thoughtful approach to their job hunt! Try looking at it another way. You have just seen six to seven jobs advertised by one agency and they are all of relevance to you. Are they then not the perfect agency to be talking to and building a relationship with? What is stopping you picking up the phone to say, "I am looking for a job. I notice that you have about seven that might be of relevance. Can I talk to you about my situation and see whether they might suit". Remember, people buy people, and recruiters are people. Make friends with them and they will be the ones who should be able to recommend you to a Financial Services role as the 'perfect candidate', even though you have only ever worked in distribution. Don't let the technology that is supposed to make things easier actually make things harder for you as a jobseeker. For more information or to discuss our services, please feel free to get in touch either by telephone on 0121 222 5599 or by email to info@wrightsolutionsltd.com. Don’t forget you can follow us on Twitter, Facebook, Google+ and LinkedIn.